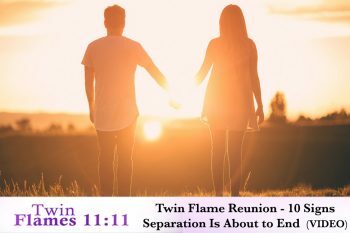 This week, there are some really exciting indications far into the future of the Twin connection – set to come to fruition by next November 2019… I’m really happy to share good news from spirit! And as always, remember to download the Free Twin Flame Help Kit if you haven’t already done so. 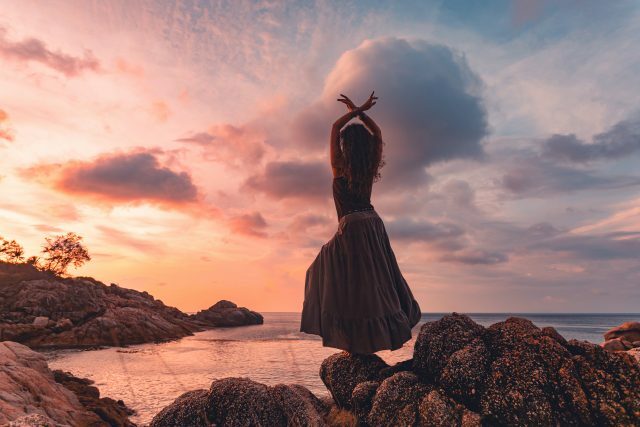 It’s a pack of resources designed to uplift your connection, clear out heaviness and infuse your system with high vibrational new energy – pure light! Click here to download – and if you’re curious what other Twins say about these tools, click here. Now onto the forecast. We begin Monday with a challenge which is increasing throughout the week – but it’s something that can contribute to uplifting your whole journey for the long run if you use it wisely. Uranus retrograde is opposing the Sun and Venus retrograde, bridging Libra and Scorpio. This deals with shaking up your self perception and your functioning in love and relationships, from the inside out. -Who do you see yourself as when you’re with a partner – above all your Twin Flame? -Who are you as a romantic being? -Do you feel whole inside, deserving of love from others? -How have you experienced relationships in life – satisfying? Or imbalanced in some way? -How have other people tended to treat you? -Do you feel like life is good? Or like life is hard or unfair? If your answers were downhearted or on the negative side, there’s something up in your system. There are blocks and limiting “3D” programming at work. And the energies right now are pushing you to confront it. Because as a soul, you are aligned with unconditional love, without even trying! When it’s not happening in the ‘real world’ it means you’ve picked up negativity from somewhere. Uranus’ “message” is that your experiences with life, love and relationships all reflect on YOUR inner state and how you see yourself. Because your inner world is powerfully affecting what experiences you attract on the outside. ABOVE all with your other self. To push for “heart centered living” and relationships based in mutual unclouded love. Uranus tends to being sudden changes, and with this powerful planet opposing the Sun and Venus retrograde right now, there’s a lot of old material from the past set to resurface. You’re likely to be “presented” with phantom versions of old outdated views about yourself and relationships. Pay attention to what you see around you and experience with others in this period! Are You Going To Pass The “Test”? Negativity right now is a “test” – it’s being brought up to give you a chance to take a step back and release it to lift up into a higher state of living and love… Just like you’ve been asking for! The problem is, this stuff doesn’t go away just because we think “OK, I see where I went wrong”. Programming is stored in us on an unconscious level – it’s automatic behavior. And in a spiritual sense it has to be cleared out – erased from our system, like we’d uninstall a program from a computer. 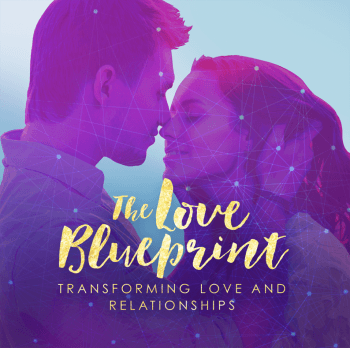 In my new in-depth coaching and energy healing program The Love Blueprint I take you step by step through “uninstalling” negative old programming about self, body and relationships over 5 weeks. We go into secret parts of your system to delete little-known blocks to Twin Flame reunion, such as ancestral karma, body programming and parent-child relationship attachments… Have a look at this video for more info. As the Sun enters Scorpio on October 23rd, this is echoed again. The inner unconscious material is in focus this period – remember that Scorpio is the domain of Pluto, the god of the underworld. We now have 4 planets in this sign of Death/Rebirth, The Unconscious, Secrets, Power and Sexuality. With strong Scorpio energies, we are assisted in healing those issues that have been repressed. Often, we approach healing from a conscious point of view but the human psyche is multifaceted and deep, with unconscious beliefs and patterns that must be examined closer in order to heal and resolve. Scorpio energies help us with this. 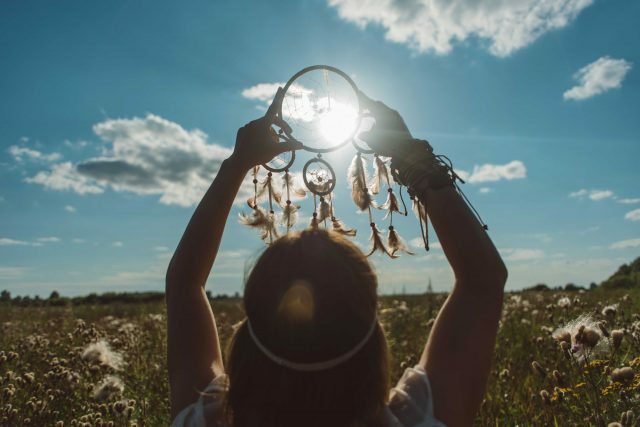 Expect a month with deeper realizations of what’s been going on beneath the surface in your Twin Flame dynamic – again, pay attention to your dreams this month! And another way to get insights from “the depths” is to ask for a song. What’s the first song that comes to mind right now for you? What is the title, what are the lyrics? What do you associate the song with, and how does it relate to your connection? Trying To Sweep Things Under The Carpet? As sexuality is the domain of Scorpio, ruler of the Sacral Chakra, we are also being nudged to address any imbalances and repressed negativity in this realm over the next month. If issues around sexuality crop up this month, go deep. This is highly likely to be happening for the Feminine Twin as Venus is moving Retrograde through Scorpio. Spirit shows us, there is a purge of outdated ancestral sexual programming and fears around sexuality going on for the female collective right now. The programming we carry can be incredibly heavy and based in fears from centuries ago. Did you know, that women are BORN with all the eggs they will ever produce? 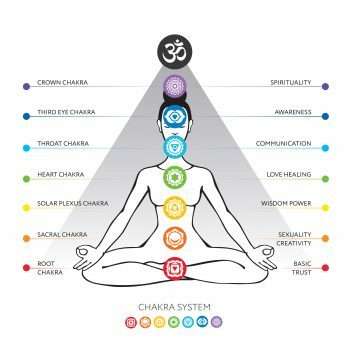 In the Love Blueprint program we go into a deep cleanse of negative ancestral programming and so many other underlying blocks to the Twin Flame Union. And I take you through fun methods for building a sparkling, positive path forwards – upgrading your timelines, your path, your system… Have a look here for more, in module 3 we go through ancestry, karma and why it plays such a big role on the Twin journey. In any tough lesson, there is a gift waiting to be unlocked. Once you learn the lesson and release the negative patterns, you are free to move on. From “death”, comes “rebirth”. The old fades, the new arises out of its ashes – an age-old symbol for Scorpio is the Phoenix rising. Incidentally, a common symbol for the Twin Flames. Through reincarnation after reincarnation, being reborn into a bond of love for one another. No matter what place or who we’re born as, love remains! Come October 24th we have a powerful Full Moon in Taurus, opposition the Sun and Venus Retrograde in Scorpio. Some zodiacal energies have a strong tendency to attachment (to people, places, things) – among these, Taurus and Scorpio are very attachment prone – and this is highlighted right now. Unfortunately, with attachment comes grief and trouble in times of change and when relationships shift and dynamics get altered. Pluto is assisting these two in learning where their need for attachment comes from, so they can alchemically transmute this and learn to feel safe. For some Twins this will be a big help in shifting out of preexisting relationships with others (or to open up to relocation) that need to be released in order for physical reunion to take place. The spiritual wisdom is that attachments are unnecessary, because existence is eternal and physical separation is an illusion. Attachment is often based in illusions and fears of losing somebody, and Pluto is here to show these up. We’re especially in terms of romantic love – the heart and sacral chakras are being stirred to release attachments and cords like this. Whenever we have a sexual or close romantic relationship with a person, we exchange energy cords with them. As the Twin Flame journey of purification begins, these cords will be stirred to be released – however, clearing cords must be done consciously. Emotions run strong at this Full Moon, and we’re dealing with a fear of leaving the past behind. There’s some consolation and concern from spirit in this, that the higher dimensions are very aware that the Lightworkers’ and Twin Flames’ journey can be tough. Because we’re being asked to leave our old selves behind, in essence. We’re being asked to become more than a “regular” human being. And we’re being taken away from what we knew and were comfortable with growing up. This can be traumatic if not done gently and correctly. But in modern life there is little to prepare us for what we go through on the Ascension path. (I’ve done my best to “hold your hand” and help you gently make this path step by step through my methods. Allow yourself to see what you’re most drawn to, that’s your soul speaking to you about what’s to your highest good). With this Full Moon in Taurus spirit shows us, we’re really closing a chapter in our lives. The beauty of it is, we’re making our way into a new higher state – heaven on earth. The downside is, it requires us to bravely go ahead into the unknown. But they know very well it can be a tough process. We’re shown childhood joys. It’s the inner child who above struggles with this. All this helps that inner deeper part of you to feel safe. That although we’re leaving some elements of the past behind, that’s not dangerous or wrong. And we can always go and visit that place. Those joys, that sheltered existence. And it’s OK if you feel like crying. It’s a natural thing. Life moves in stops and starts and change happens quickly, so quickly we sometimes don’t feel ready. The more we can feel safe inside, the more we can enjoy that journey in all its newness and unexpectedness. So although the Full Moon is a time traditionally for releasing, their encouragement is to go with what feels right. If you want to spend the day watching your favorite childhood movies on the sofa, that’s OK. In fact, you might need it. Where might they be feeling overwhelmed by adult life, responsibility, change, uncertainty? Can you see that they might be lashing out or being closed off because of it? 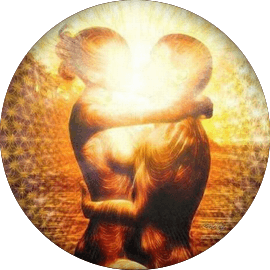 New Phase 2019 – Twin Flame Babies! Spirit also shows us, that this Full Moon in Taurus is the first lunar culmination in the sign since Uranus entered Taurus this spring. At that point there was a New Moon – so this week is set to see the culmination of something love related, a change that began around that time. It was the beginning of a new chapter somehow – and the process that is in focus for you right now, is set to reach a stage of culmination by the next Full Moon in Taurus, which happens 12th November 2019. We feel a greater sense of calm having reached you by that time …and to my surprise spirit shows us that a number of Twin Flames are set to be happily pregnant or with a new baby by then! A blissful state. We see you wiser, calmer, more self-assured, peaceful and in a state of love down the line. Spirit is very keen to communicate about this, and shows us that some of the readers of this blog haven’t yet met their mirror soul in truth. (If you’re among this group, you’ll feel it in the resonance of the words). If you haven’t yet met your divine “other self”, it looks like it’s in fact very close, around the corner. We see you thinking it might never happen… then suddenly there he or she is! A feeling of completion and “home” you’ll recognize as being “it”. And the beauty of it is, they feel the same. Spirit’s advice is, don’t let your mind limit your options. Be open to whom it could be, and how it happens. Be as open as you can. (And no, that doesn’t mean it won’t be someone you’ll find attractive or that the circumstances will necessarily be challenging). This is set to be a reunion of happiness! But allow it to happen, allow yourself to be guided by your heart. See it as reading an exciting book where you’re going with the flow of the story, allowing it to unfold – that’s their suggestion. I’m glad to be the messenger of such good news! I hope you’ll keep me and the rest of the community updated in the coming year as things develop! This week, be kind to yourself and allow your heart to lead the way. Want more? For my step-by-step “roadmap” to Twin Flame Union, created after my Twin and I reached Union on my own journey – have a look at the Vibrational Alignment Program for Twin Flames. Read here about other Twins’ experiences with the program. Alternatively you can try my Free Help Kit for Twin Flames!